Her mother warned her! She told April that one day all of the sodas and candy bars would catch up to her. When it happened, and yes, it happened…April stood shell-shocked in front of the bathroom mirror staring at her larger than life reflection. Struggling, April tried everything to disguise her fat suit until finally finding the solution to weightloss. 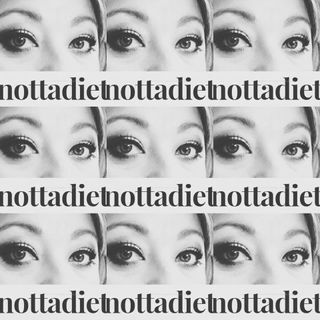 Welcome to nottadiet! Esplicito Season 2: A salad...for him. SEASON 1: I have deleted more than my fair share of ugly photos and applied fake toenails! SEASON 1: What you see isn't always what you get.